I ended up recording my Rytm MKII with realtime rendering with Cubase 10 as an alternative to recording each of the 8 tracks of Rytm MKII to audio. After some trial and errors this is what worked best for me. Normal rendering doesn’t seem to work, with logical explanations. I confirm, also works with A4MKII! Thank you, maestro! does this add any functionality to the inputs on the Digitakt? can you either monitor the inputs now in stereo directly on the Digitakt, or record/monitor in stereo through the plugin or in your DAW? Monitoring is still mono atm. 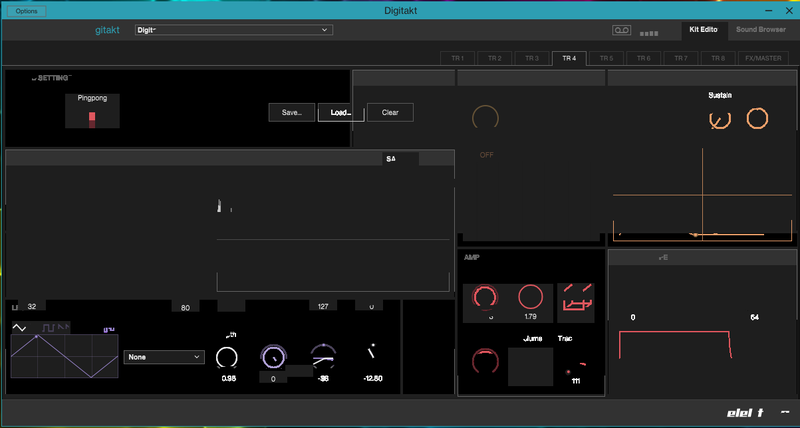 It will be so cool to monitor EXT L + R in stereo inside the digitakt. Sampling in mono is ok. I was able to choose, as I never use the default, and few installers pick up the configured directory from the registry. Though Overbridge isn’t the VST, so you shouldn’t need to change that. each instrument has it’s own VST. AR mk1 seems to have issues with the nv ram and overbridge 2 beta. AR mk2 works fine. did the beta firmware include duel vco? Hi, does anyone know how to fix the issue with the vst plugin? I have now installed Overbridge twice and the VST still won’t show up in Ableton. Amazing potential. Thank you for making it available. Glitching quite badly - glitch sounds, sequenced notes going off pitch, timing is off. Here’s hoping the final release will happen soon - SO much potential here I love it! Many thanks, this finally worked for me on Win 7 x64. Digitakt drivers now installed. You can actually seeing things flashing etc as the Digitakt plays, so effectively it’s “working” but obviously the UI is not. Incidentally too, the plugin is letting me split the track audio in my DAW… I just can’t use the interface. Has anyone else seen anything like this?! Any ideas anyone? My only hunch is that maybe it’s to do with my Win 7 install being quite behind on updates - I’ve left it alone because of how insanely stable it is. Never seen anything like this before in a plugin or elsewhere. System is a well spec-ed i7 with onboard Intel graphics, which well exceed Elektron’s specs. Thanks in advance for any clues on this mystery! I saw in the Overbridge NAMM video with Cenk that AH mkii is working with Overbridge for processing softsynths. Can anyone comment on how stable this is so far with beta? Rytm MK1 in Reaper x64, win 10 x 64 - Serious crackles at any sound card buffer settings! What else to try? Actually, I got it. Didn’t see overbridge in system tray. You have to make sure ALL audio buffers are the same! have you changed install destinations? For Analog Rytm, I can only see the factory samples in the drive library on the right side of the browser, nothing I’ve uploaded into the rytm… as well as no samples show up in my loaded bank on the left side. Is this something that will be fixed?